Easy to sew row by row quilt. 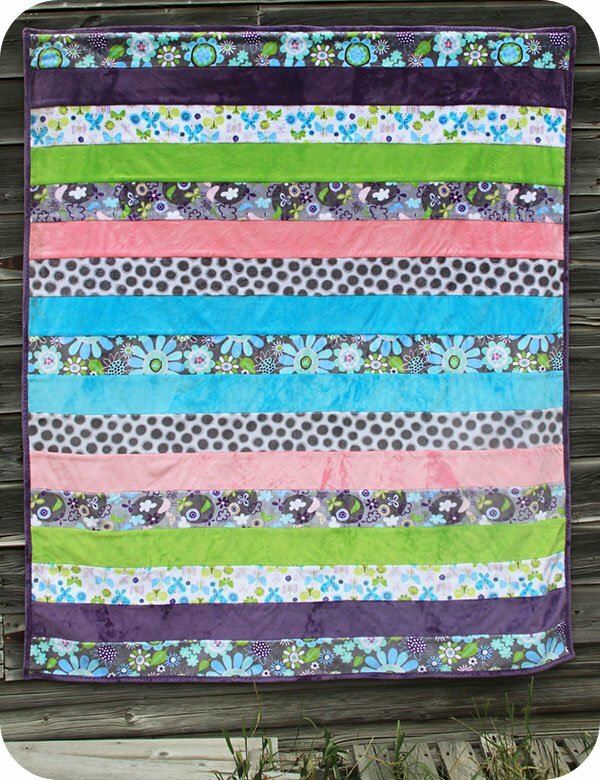 �(17) �5 X 58'' strips of cuddle fabric with free pattern. �More fabric necessary for the backing & binding. �Finished size 60"X 72".